The number of jobs in the field radiologic science in Maine is expected to grow 9 percent in the next decade. Salaries are also rising in response to the increased demand for radiologic science professionals. As a result, Maine is a strong choice for students or young professionals looking for a solid career. 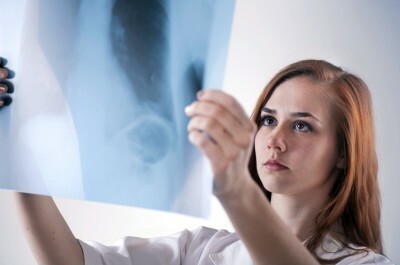 Although the number of schools with radiologic technology programs is relatively small, the programs that do exist are accredited and affordable. The current average salary for radiologic technologists in Maine is $58,130 per year. This is a little below the nationwide average salary for this field, which is $60,320 per year. It is also higher than the median annual salary in Maine, which is $45,300. The highest paid positions in Maine tend to be supervisory diagnostic radiologic technology positions, which often require a bachelor’s degree, while entry-level radiographer positions tend to be the lowest paid. More information on Rad Tech salaries in Maine. Maine requires practicing radiology science professionals to be certified through the state or the appropriate national organization. The American Registry of Radiologic Technologists oversees licensure for radiographers and radiation therapists, while the Nuclear Medicine Technology Certification Board oversees licensure for nuclear medicine technicians. Limited license X-ray technicians must pass the state examination following completion of a state-approved course of study. These technicians are limited in their practice to no more than two parts of the human body. 24 hours of continuing education credits every two years are required for all fields of radiologic technology. There are four total schools in the state of Maine that offer programs in radiologic technology. Three of the four are representatives of the Maine Community College System. Maine College of Health Professions: The radiologic technology program at the Maine College of Health Professions offers an associate of applied science degree. The program takes 21 months, and involves two days per week of classes in rotation with three days of clinical hours. This school was the first training program for radiologic technologists in Maine. Kennebec Valley Community College: Kennebec Valley Community College offers a two-year Associate of Science in radiologic technology. Clinic hours are taken in rotation at 12 different medical centers and hospitals in the Augusta area. By completion of the program, students are prepared to sit for the ARRT exam for licensure. Eastern Maine Community College: Eastern Maine Community College offers both a two-year and a three-year program in medical radiography. Both programs end in an Associate of Science in Radiography, and involve 6-8 week intensive clinical sessions during the summer semesters. Southern Maine Community College: Southern Maine offers an Associate of Science (AS) degrees in the field of radiologic science. This 23 month program involves a combination of general education and medical radiography classes, along with hands-on clinical experience in hospitals throughout southern Maine, as well as several orthopedic offices in Portland. Upon completion of the program, graduates are eligible to apply to take the certification examination of the American Registry of Radiologic Technologists, ARRT. The various large hospitals and medical centers in Maine are the largest single employers of radiologic science professionals. Hospitals with significant radiology programs tend to be concentrated in the more densely populated areas of the state. The state affiliate of the American Society of Radiologic Technologists (ASRT) is the Maine Society of Radiologic Technologists (MSRT). This society hosts professional meetings among its members, provides information about education and licensure in the state of Maine, and advocates for state and national health policy that protects the field of radiology.